Since January, the Plaza has been advertising a July 18 screening of the 75-year-old George Cukor-directed comedy-drama starring Joan Crawford, Norma Shearer, and Rosalind Russell. 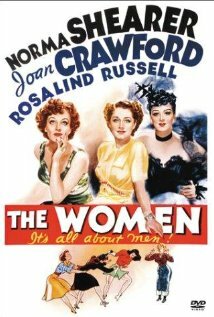 The Women was the first film ever shown at the Plaza when it opened in the summer of 1939. Meanwhile, a little further down Ponce de Leon Avenue, the Fox was deciding to focus on classic films this summer for its annual Coca-Cola Film Festival. The Women, along with Gone With the Wind and The Wizard of Oz, is among the 1939 pictures on the Fox schedule. The Women will close out the Fox series August 21. Now, the Plaza claims that its plans to screen The Women have been thwarted by the Fox schedule. Fans have been buzzing about it since the Plaza posted about the unpleasantness on its Facebook page last week.